It is September already - can you believe it? Where does the time go? I have been a very busy bee. Less then two weeks until I meet up with my very dear sewing friends. We are meeting in Amish Country, in Pennsylvania. I LOVE LOVE LOVE it up there and can't wait to go back. But...there are a lot of projects that need to be completed first. We got a bit overzealous last year and did a paper piecing bee, a birthday package, a traveling quilt and now that retreat is here, a secret sister. I didn't even mention the make one take one swap. Seriously no idea what I am going to make for that. 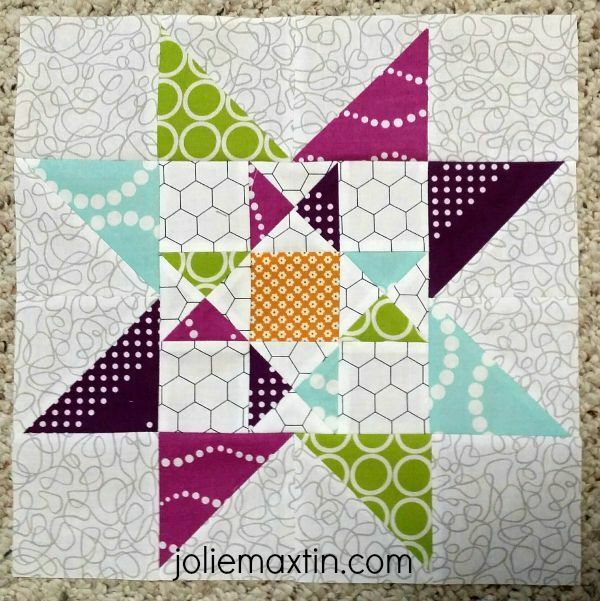 A lot of my projects can't be revealed yet (since my sewing girls read the blog) but I am sharing a block that I am proud of. It's slightly different than most stars, but still complimentary to most standard stars. This is for the traveling quilt that I am in charge of completing the top for. Once we have presented them to one another, I'll show you the start and finish. I expect them all to be fabulous! Happy September to you. Thanks for stopping in.